ICOMOS International Cultural Tourism Charter – Managing Tourism at Places of Heritage Significance, adopted by ICOMOS General Assembly, Mexico, 1999, identifies the mission and focus of ICOMOS International Cultural Tourism Committee. Preface: The International Cultural Tourism Charter: Managing Tourism at Places of Heritage Significance was adopted by the ICOMOS 12th General Assembly, Mexico, October, 1999. 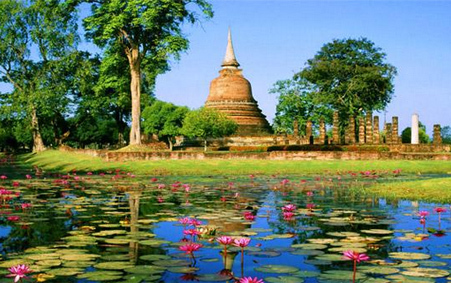 Tourism can widely contribute to the wealth of a country in promoting its cultural heritage. Unfortunately, it can also endanger it, especially in the more vulnerable regions. tourism programs should protect and enhance natural and cultural heritage characteristics. Based upon the principle that all cultural and natural heritage belongs to all mankind and therefore all of us have rights and duties in what concerns its understanding and protection, the international charter on cultural tourism reflects on the need, in a globalization era, to transmit and respect the values that constitute the identity of a community. The cultural tourism, an increasingly complex phenomenon, is a privileged media for cultural spreading, representing the economic return of the investment done in cultural heritage, contributing to its continuous preservation and valuation, but the other side of this activity is the massive flows of people or it’s inexistence, that can threat the integrity and accelerate the degradation of cultural heritage. The balance between the different principles that rule an economic activity and the principles undertaken in heritage preservation must be a team work between the community and experts of the several areas. The charter details it Objectives, introducing its role to facilitate and encourage those involved with heritage conservation and management to make the significance of that heritage accessible to the host community and visitors. Likewise it encourages and details a set of activities that can contribute to improve the management and conservation conditions of cultural heritage.